Tony Ammeter was named associate provost for Outreach and Continuing Studies in April of 2016. In this role, Dr. Ammeter's leadership responsibilities include regional campuses, summer school, online education, college and pre college special programs, and professional development and lifelong learning. He also serves as the interim Dean for the Bachelor of General Studies program and assists and advises the provost in a variety of academic matters. 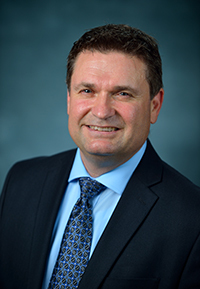 Dr. Ammeter holds a joint appointment as an Associate Professor of Management and Management Information Systems in the School of Business Administration. He received his PhD in Organization Science from The University of Texas at Austin.